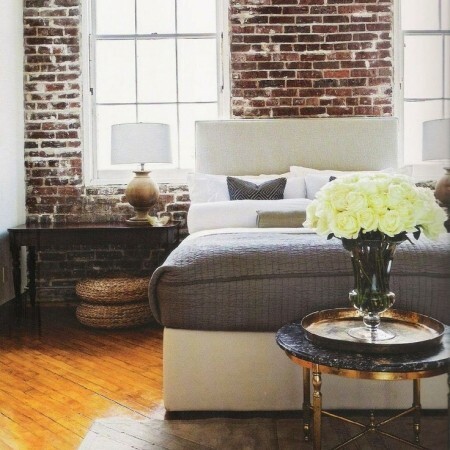 You’ll have bedroom envy after looking at these heavenly havens. Whether you like sumptuous bohemian bedrooms, simple rustic bedrooms or calming minimal bedrooms, we’ve got something to ensure a good night’s sleep and sweet dreams for everyone. 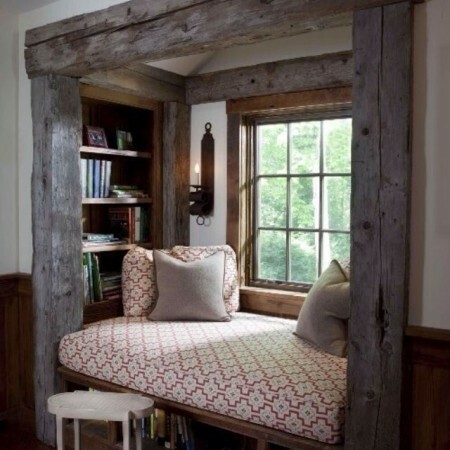 The rustic look is all about stripping decor back to basics, but without losing comfort or warmth. This exposed brick wall contrasted with white and laminate flooring is a stylish twist on the barnhouse look. Added accessories such as woven baskets and worn copper side tables, keep it looking fresh, modern and snug. If you are lucky enough to have beams in your home, making a feature of them can really add to the drama of this countrified look. Simply ‘wash’ the wood with earthy colours like grey, brown, cream, white or black to give it more dimension. A seated window or tucked away bed exudes a certain Jane Austen elegance and can make use of all available and valuable space. Upholster the area with soft and classic colours. Nothing spells country like quilts do – pick one with a floral motif and dress your bed with mismatched cushions for a laid back feel. 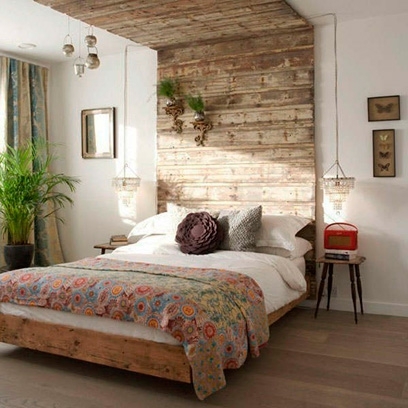 The bold wood headboard creates instant rustic feel while the rest of the scheme is kept simple with white walls and a few eclectic accents. Create a relaxing, rustic feel by mixing old with new and embracing charmingly imperfect textures.